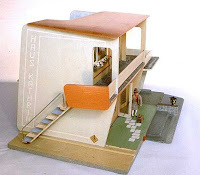 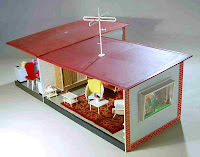 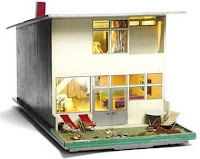 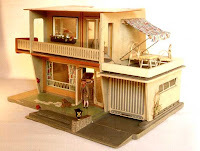 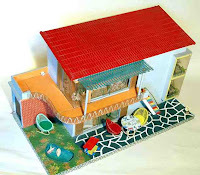 If only some modern manufacturers would take the lead from these early 1950/60/70's and Rietveld dollhouse designs. 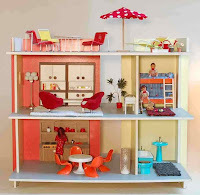 You're totally right, this sort of dollhouse should totally come back in style! 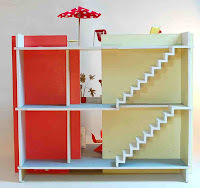 It's possible to find elaborate ones, but these are nice and simple, and could even be copied by Average Joe with some plywood and paint!